Delegates may take advantage of a 10% discount off Flex, Latitude, Premium Economy and Business Flex fares at time of booking for domestic and international flights. To book a flight at the discounted rate, access www.aircanada.com and enter the promotion code 3MGBM6V1 in the search panel. The booking must be made to Vancouver within a travel period of June 19 to July 4, 2019. NOTE: No discount will apply to Tango bookings for travel within Canada or between Canada and the United States. Network Members: A block of rooms has been reserved at the Ponderosa Commons, Walter Gage Residence, and West Coast Suites for HI-AM Network members (excluding our industrial partner representatives) from June 25 to June 27, 2019. 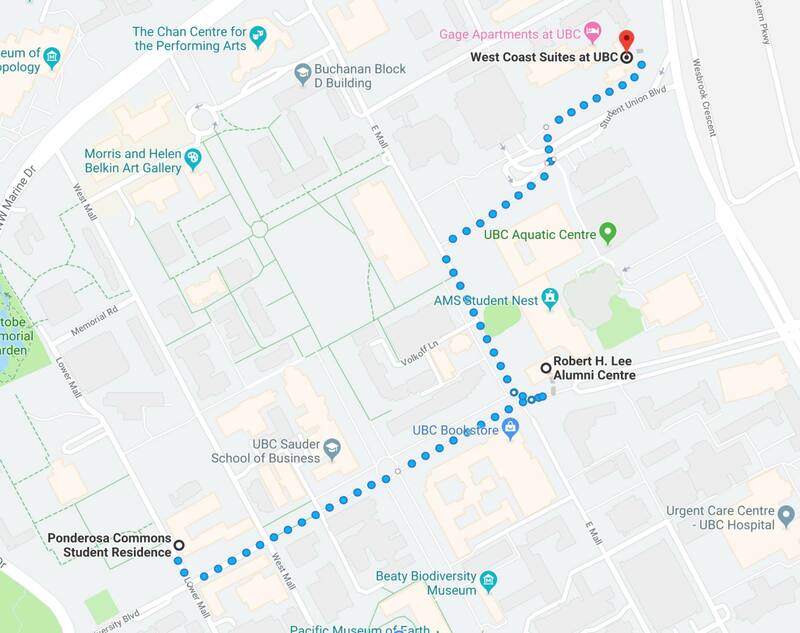 All hotels are located on the UBC campus and are a 5-minute walk to the venue. Non-members and HI-AM Industry Partners: A set of guestrooms has also been reserved at conference rates for HI-AM industry partner representatives and non-member delegates at Ponderosa Commons and Walter Gage Apartments from June 25 to June 27, 2019. Book early as the space is limited and enjoy the convenience of being close to the Conference venue and other participants. The cut-off date for booking your reservation at the conference rate is May 24, 2019. Conference rates are not guaranteed once the block is full or beyond May 24, 2019, whichever comes first. You can also call the Reservation Office at +1-604-822-1000 Ext. 3 and book your room over the phone. Please do not forget to mention you are with the NSERC HI-AM 2019 roomblock. 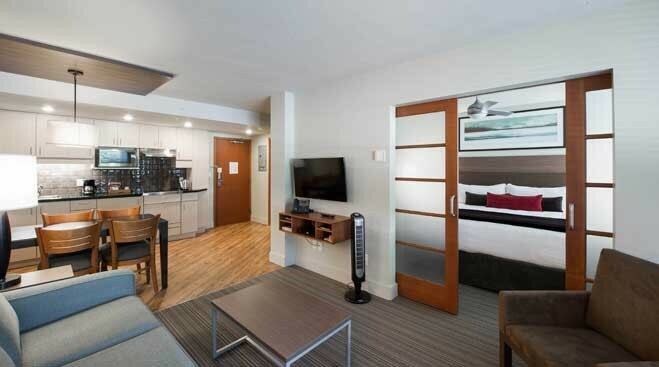 Stylish and convenient accommodation with extraordinary amenities and attractions located within walking distance to Museum of Anthropology, Belkin Art Gallery, Biodiversity Museum, and UBC Botanical Garden. Hotel style private suites with king bed in bedroom, queen sofa bed in living room, and private washroom with shower. Features include luxury linens and amenities, fully equipped kitchen, TV, WiFi, telephone, in-room sofa and complimentary coffee. Maximum 4 guests per suite. Rate based on single or double occupancy; $25 charge, per night, applies for each additional guest. The Walter Gage Apartments offer Vancouver’s most affordable private suites in a comfortable naturally beautiful campus setting. Studio suites are located in a 4-story building, and each suite has one queen bed and private washroom with a shower. Features include sitting area with telephone and desk, TV, air conditioning, fully-equipped kitchen, WiFi, and complimentary coffee and tea. Maximum 2 guests per suite. 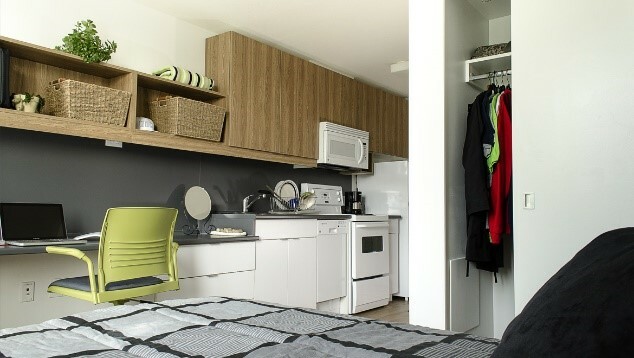 Ponderosa Commons, located on the west side of UBC campus, offers contemporary accommodation in private suites. 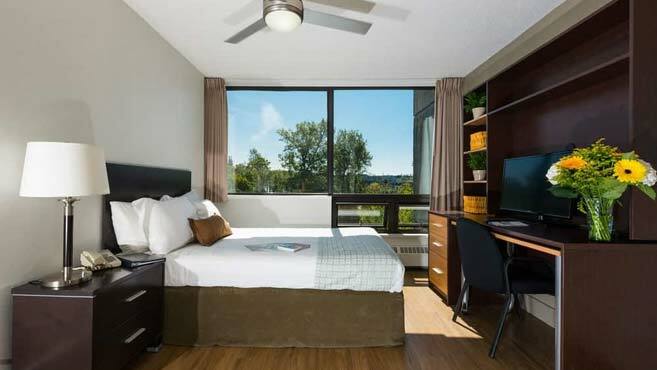 Guests can enjoy stunning views of the North Shore Mountains and lush green campus grounds. Located in an 18-story tower, each suite has a double bedroom and private washroom with a shower. Features include sitting area with telephone and desk, TV, fully-equipped kitchen, WiFi, and complimentary coffee and tea. Maximum 2 guests per suite. 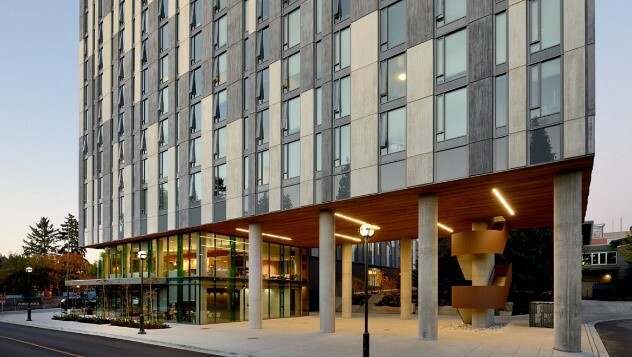 For further on-campus accommodation options, please contact UBC Conferences and Accommodations or UBC St. John’s College. 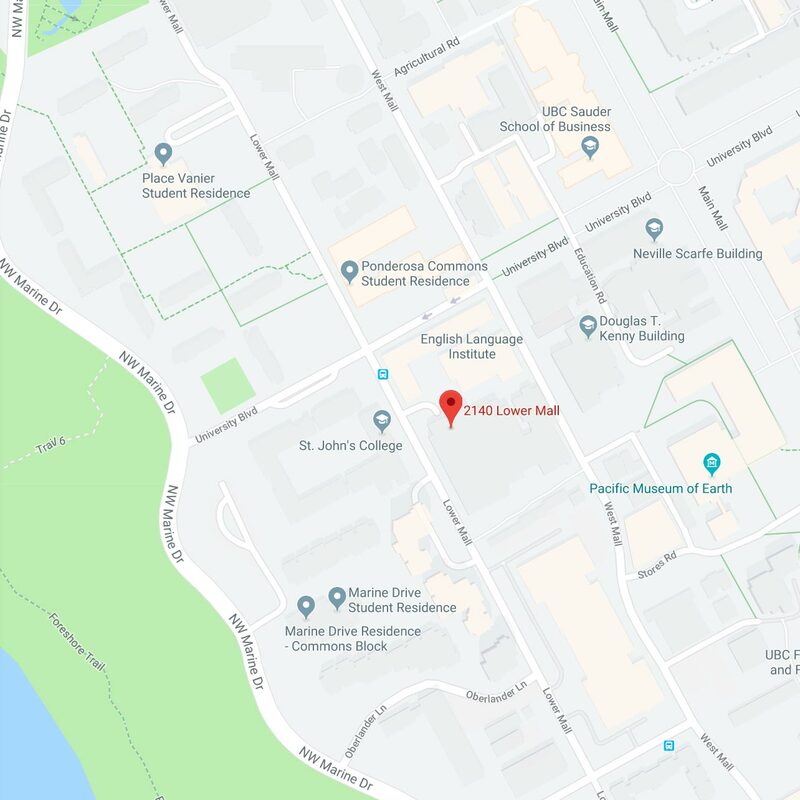 Limited on-site parking is available for guests staying at the UBC accommodations associated with the HI-AM 2019 Conference. Parking is available on a first-come, first-served basis, and is subject to a daily fee. 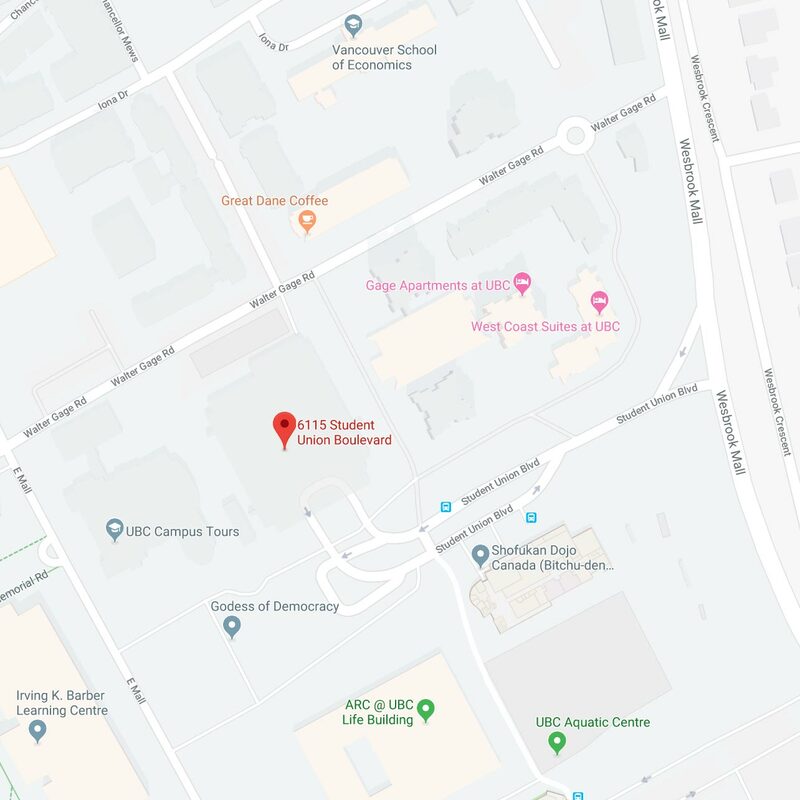 The closest parkade to the Gage Apartments and West Coast Suites is the North Parkade on 6155 Student Union Boulevard, Vancouver, BC. 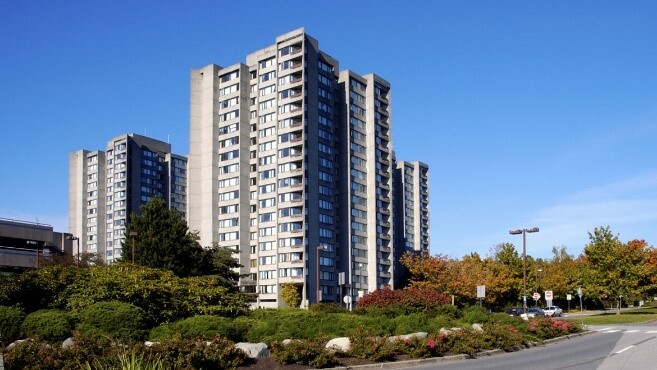 The closest parkade to the Ponderosa Commons is the West Parkade on 2140 Lower Mall, Vancouver, BC. For more information, please contact UBC Parking Services.